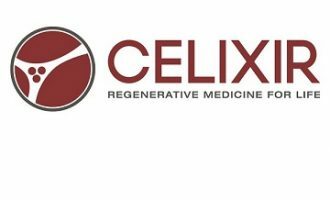 Cell Therapy Ltd announces continuing 100% MACE-free survival after two years average follow up in the Heartcel clinical trial in advanced heart failure patients at high risk of incomplete revascularization. Cardiff, UK, June 24 2015 – Cell Therapy Ltd (“CTL”), a development stage pharmaceutical company with a portfolio of allogeneic regenerative medicines in clinical trials, reported average 24-month (19- 29 months) MACE-free survival for all patients in the Heartcel trial studying myocardial regeneration. This means that in these patients, suffering from advanced heart failure, all are still alive after an average of two years vs. up to an expected 70% annual mortality rate, and none have suffered cardiac events such as heart attack or stroke. MACE-free survival in all patients at an average of 24-months (19-29 months) 70% Quality of life improvement measured by MLHF. The Heartcel Phase II clinical trial studied patients at high risk of incomplete re-vascularization (ICR) undergoing Coronary Artery Bypass Graft (CABG), and investigated a new regenerative cell type, the iMP cell (immuno-modulatory cell), as an adjuvant to mitigate the mortality and morbidity associated with ICR. HeartcelTM has been designed as a cardiac specific cell therapy, and is the first to demonstrate heart regeneration in humans. At the original 12-month follow up the trial met all study endpoints reporting statistical and clinically significant results: Major Adverse Cardiac Event (MACE)-free survival in all patients, improved Left Ventricular Ejection Fraction (LVEF) of 30%, reduced Left Ventricle (LV) scar size of 40% and improved Quality of Life of 50%. Today CTL reported average 24-month (19-29 month) follow up results for MACE-free survival and quality of life improvement, unprecedented data for a trial of this kind for patients with advanced heart failure. (See Abstract 2 in notes below). The iMP cell is a novel regenerative cell discovered by Nobel Prize winner Sir Martin Evans, CTL’s Chief Scientific Officer. The iMP cell was presented at the British Society of Cell and Gene Therapy Annual Conference, on 11 June 2015 and forms a novel and distinct family of mesodermal progenitor cell. iMP cells express cardiac-specific and immuno-modulatory phenotype and form the basis of allogeneic or “off the shelf” cellular regenerative medicines. (See Abstract 1 in notes below). CTL’s proprietary platform technology has generated a portfolio of allogeneic tissue-specific regenerative cellular medicines that are in late stage clinical trials including Heartcel, and cellular therapies for orthopaedic and dermatological conditions. Abstract: Immuno-modulatory progenitor cells or iMP cells, are a novel and distinct mesodermal progenitor cell that in vitro exhibit an immune-modulatory (MIC A/B, CD178, CD289, CD99 and EGFR) and cardiac specific phenotype (CD181, CD126, CD304, CD363 and CD182). iMP cells are not mesenchymal stromal cells (MSC) as defined by the International Society for Cellular Therapy. 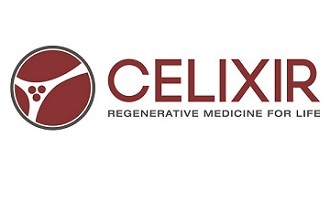 Allogeneic iMP cells were used in a Phase II (Heartcel) clinical trial of advanced heart failure patients diagnosed to be at high risk of incomplete re-vascularization (ICR) with coronary artery bypass graft (CABG) surgery. ICR affects ~37% of all CABG patients and is associated with a ~40% increase in mortality and ~49% increase in major adverse cardiac events (MACE). The Heartcel trial completed a mean duration of 24 months post treatment follow up of all patients in Q2 2015 (19 to 29 months range). Concomitantly with CABG, iMP cells were injected intra-myocardially into the areas of hypo-kinetic myocardium that bypass grafting would not re-vascularise. SPECT imaging was used pre-operatively to identify iMP injection sites and post-operatively to monitor / measure change in viability and contractility. The study met all endpoints: 100% 1 year MACE-Free survival in all patients, which persists to date (19-29 months). Clinically and statistically significant mean improvement in left ventricular ejection fraction (LVEF) (30%), LV scar size (40%) and quality of life (50%). The results suggest the potential for in situmyocardial regeneration to mitigate the effect of incomplete revascularization. CD45. Up-regulation of these markers has been reported to show greater functional properties such as immune-modulation and proliferation. events (MACE). The Heartcel trial completed in Q4 2014. 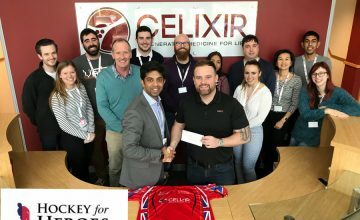 Cell Therapy Limited (CTL) is a Cardiff-based biotechnology focused on the discovery and development of regenerative medicines focused on areas of high unmet patient need. CTL was founded in 2009 by Novel Laureate Professor Martin Evans and Ajan Reginald, ex-Global Head of Emerging Technologies at Roche, and the team includes world-class scientists and clinicians led by experienced management and an active Board and Scientific advisory committee of world experts.